Get the best python application development at affordable rates summing up with all your ideas. 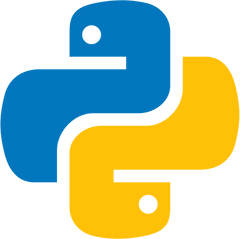 Python is quickly picking up notoriety among new businesses and cloud innovation supplier organizations everywhere throughout the world. This open source and clear object-oriented programming language utilizes a straightforward,yet rich language structure, which makes it effortlessly decipherable. Python permits fast improvement, which is perfect for model advancement and in addition other specially appointed programming duties. 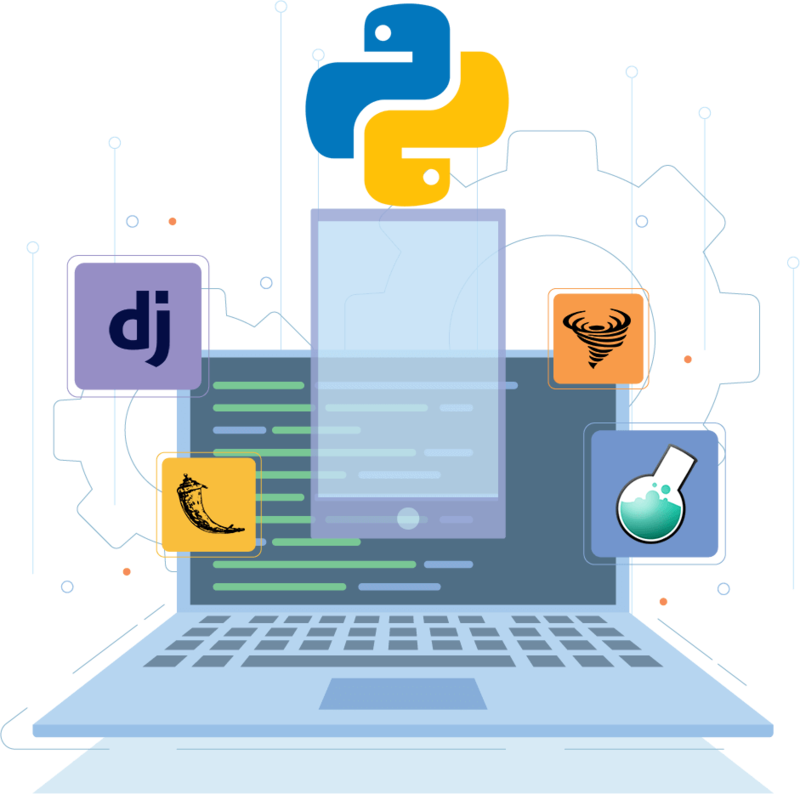 Python Development is one of the best and most effectively intelligible programming languages that can be clubbed effortlessly with other intense stages. Python is a general-purpose high-level interpreter based computer programming language that has picked up fame throughout the years for its adaptable part – from being able to support simple OOPS to facilitate analytics and custom web development. Python programming and Python development services have step by step made their stamp in the IT business in light of their viability. Concetto Labs being one of the leading Python Development Company in India has the group of python developers having effectively embraced and conveyed several robust Python projects with finish commitment and flawlessness. We give all our programming development solutions in view of the tweaked necessities of our profitable customers. Our group of programming experts gives trending solution in the Python programming. We have actively participated in creating and deploying all kind of end-to-end python development services, right from game development, software development using python to web application development, android app development, IoT solution development. We change over your business thoughts into reality by offering customize Python development services. Our experts furnish extreme web applications with novel highlights. Our specialists are all around familiar with the Python programming and legacy app development services. We serve Python migration to our customers with finish responsibility. Tailor, Develop and Convey Python based solutions using most recent advances and technologies like AI, Deep Learning, Neural Networks, and Machine Learning. Our specialists have the rich experience of working with a wide range of web development in view of this programming language. We make skilful plan models with our inventive approach. Shape your Thoughts of Innovation with prominent Python Development Company, Concetto Labs. Boost up your iOS and Android mobile applications or give access to your stage information through secure, stable, and all around reported web created and crafted web services and APIs. As IoT based devices are limited by computational power and memory, our software engineers have imaginative to make it conceivable. Concetto Labs leans towards Python for IoT development. 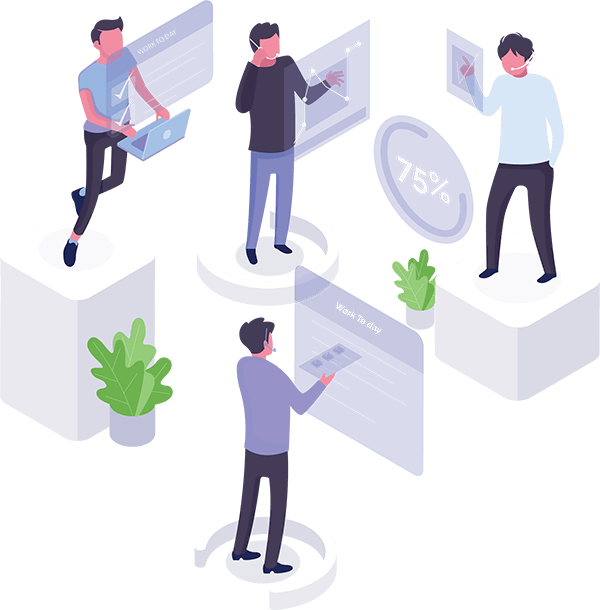 Check your Python projects with our expert testing services that incorporate usefulness functionality testing, code survey, load testing, automated testing, and that's just the beginning. Our prime goal is to convey best in class solution and give moment upkeep bolster identified with Python web development. Django, Flask, Tornado & Bottle for tailoring Python solutions as per business objectives. Likely the most prominent Python framework, Django's speed, adaptability, and flexibility without trading off with security for any projects. Flask shares effortlessness and adaptability as key characteristics yet, in addition, gives a far finely-grained control on development. The robust framework opted for high-performance and its exclusive steller asynchronous feature listing. A top pick "microframework" for developing APIs, Bottle gives better adaptability and flexibility in the solution.